Posted December 4, 2018 in Diet Management, Featured Post, Tags: calories, dietary protein, inflammation, malnutrition, medical nutrition therapy, over-nutrition, overweight, under-nutrition, underweight by Jennifer Smart MS, RD, LDN. When you think of malnutrition, you probably think of a condition caused by a lack of food…starvation. Malnutrition in this form does exist worldwide. However, malnutrition by definition can be considered as any disorder of nutrition including over-nutrition and under-nutrition. Malnutrition is a growing but under-recognized health concern in the United States. Causes of under-nutrition include inadequate nutrient intake, increased nutrient needs, impaired nutrient absorption or utilization, and excessive nutrient losses (1). Under-nutrition may be the result of low socioeconomic status, hospitalization or chronic disease (2). Disease associated malnutrition can occur in patients who are underweight, overweight or obese. In the body, disease associated malnutrition triggers an inflammatory response (2). This response increases metabolic demand, can impact appetite, cause GI problems, or lead to difficulty chewing and swallowing. These issues can lead to decreased nutrient intake which decreases the immune response. The result is increased risk for illness and infection. Individuals become malnourished when they lack the nutrients needed to heal. Medical complications can occur. Patients living with chronic kidney disease are at an increased risk for malnutrition (3). They often experience decreased appetite, gastrointestinal (GI) problems or difficulty chewing and swallowing. Many patients find that the restrictive renal diet decreases appetite and enjoyment of food. Additionally, patients on dialysis have increased calorie and protein needs. It is important to eat enough protein and to take a renal vitamin as prescribed to replace losses from the dialysis treatment. If individuals are not consuming adequate calories and protein the body tries to defend itself. The body defends itself by seeking nutrition inside and uses the muscle stores as a protein source. The body breaks down muscle for energy and nutrients. The result is muscle wasting and weight loss (3). Over time this loss of lean body mass impacts the ability to recover from illness. In addition, it can impact mobility and independence. Patients and family members are encouraged to work closely with their registered dietitian to help manage symptoms and help prevent or correct disease associated malnutrition. A dietitian can offer suggestions to increase calories and protein in addition to clearing up diet misunderstanding. Planning meals ahead can help in the treatment or prevention of malnutrition. This season take advantage of extra holiday snacks and leftovers. 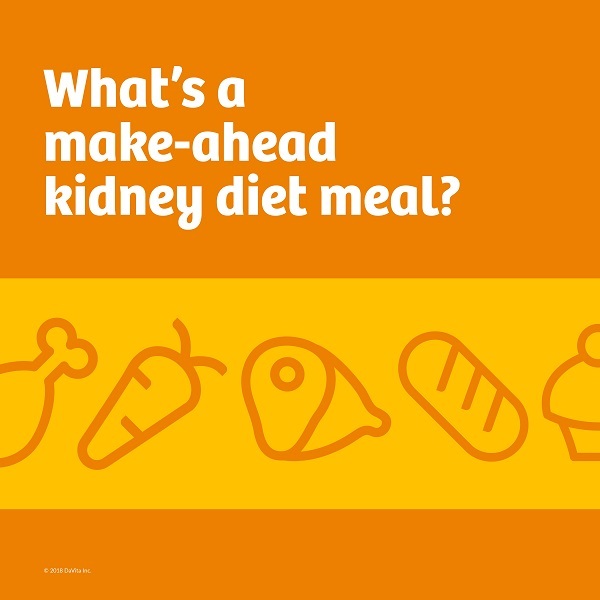 For recipes and meal planning ideas check out “Make-Ahead Kidney Diet Meals for the Holidays“. Ask family and friends for help in preparing favorite meals and snacks. For more information on Medical Nutrition Therapy (MNT) for chronic kidney disease please see the following post: Medical Nutrition Therapy for Kidney Patients. For more information on calories and protein visit these links: Calories: A Guide to Adding or Limiting them on the Kidney Diet and Dietary Protein and Chronic Kidney Disease. Academy of Nutrition and Dietetics. HOD Fall Meeting Backgrounder. https://www.eatrightpro.org/-/media/eatrightpro-files/leadership/hod/hod-backgrounders/malnutrition.pdf?la=en&hash=13655FFBD0E1C5069B00D09AD64A4E31EED6030B. Accessed October 16, 2018. Malnutrition Quality Improvement Initiative. Briefing: The Value of Quality Malnutrition Care. http://mqii.defeatmalnutrition.today/static/pdf/briefing-the-value-of-quality-malnutrition-care.pdf. Accessed October 15, 2018. Byham-Gray, L., Stover, J., & Wiesen, K. (2013). A clinical guide to nutrition care in kidney disease. Chicago, IL: Academy of Nutrition and Dietetics. Jennifer Smart has been a registered dietitian for 14 years with 10 years of renal experience. Nutrition topics of interest include malnutrition and nutrition Informatics. 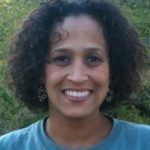 She lives in Maryland with her spouse, a retired US Marine, and her very energetic son. When she is not focusing on nutrition Jennifer enjoys fiber arts, gardening, beach combing and restoring furniture. Following a Mediterranean type diet with fruits, vegetables, lean proteins, low or nonfat dairy, olive oil and whole grains, or a DASH (Dietary Approach to Stop Hypertension) diet can help. Keep your sodium intake low and avoid processed and fast foods as much as possible. i am hiv + ,i am diabetic and also have chronic kidney dicease. its hard too tend too the needs of all 3 without giving too one and harming the other. im a white male 57 yrs.old . It definitely is a challenge to combine multiple diets for multiple conditions. You may need to make adjustments based on your labs, weight and nutrition status. It’s best to work closely with your dietitian as they can help guide you. Need help planning what I should & should not eat. Have looked at food lists with conflicting choices. Need help planning healthy meals & recipes. Have you tried using DaVita Diet Helper online meal planner and tracker? It has pre-planned menus with recipes that show you exactly what to eat. You can also track your intake to determine your daily nutrient intake compared to your diet goals. Now she and thought it would be better to do pertinal but I need help finding a place for me. Cam you point me in the right direction. Please speak to your healthcare team about your situation and ask for help from a social worker. We are unable to provide that service through the website. Good morning, I’m writing because I’m very concerned about my mother, she’s been a kidney patient for about 3 weeks and on dialysis for about the same. She has lost so much weight over the last year and we just found out why. I’m looking for foods that will be good for her and ways I can help make this better for her. Any information you can give would be greatly appreciated. It is not uncommon to experience weight loss and poor appetite with kidney failure. The toxins and waste build-up in the blood causes it. After receiving dialysis for a while the appetite and intake usually improve. There is a dietitian at the dialysis center who will do a nutrition assessment and create a nutrition care plan for your mother. Ask to speak to the dietitian and find out if a nutrition supplement is recommended. Be sure to let the dietitian know how your mom is eating at home and any symptoms that may need to be addressed.